Get your mattress on. In Congo! Sometimes you just need a good place to lie down. Especially if you are in a jungle hospital in the middle the Democratic Republic of Congo. That’s exactly what Charles Johnnson, from San Antonio, Texas saw last year. At Good Shepherd Hospital in Tshikadji, [Democratic Republic of Congo] we saw a young boy, who was suffering from malnutrition, sitting on a small piece of plywood because his bed had no mattress. Charles’ work is part of a mission through the Rivers of the World organization which brought them to Tshikadji, where Dr. Bernard Kabibu serves as the Administrator of the Good Shepard Hospital. In this video clip he explains about the basic needs of their hospitals including mattresses, delivery tables, wood or solar autoclaves. 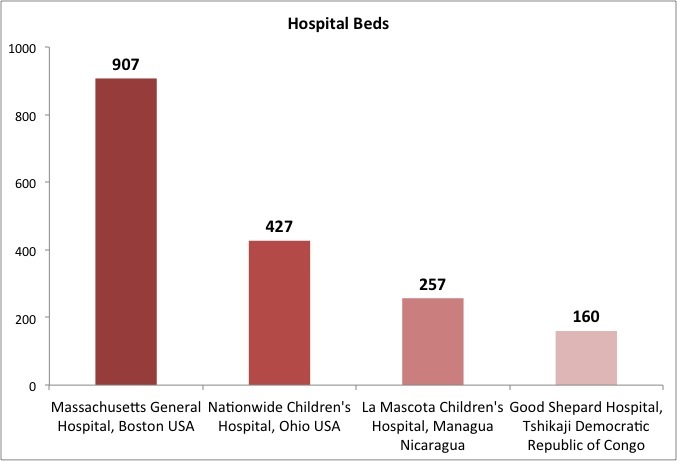 The reality is that if you are hospital, one of your main metrics of infrastructure, is the number of beds. In about 6 weeks, they raised 62,000 and bought almost 400 mattresses. No microfinance, no gadgets, no support from multilateral institutions. Just good old fashioned grassroots donations for something fundamentally essentially, it’s almost transparent. Except if you are a woman about to give birth lying down on a wooden plank for 48 hours. It is such an impressive campaign, but one that also came with the challenge of importing clinical grade vinyl mattresses into the DRC. The heart ache and struggle that come with the shipping and importing of medical technology are things our team understands all too well. We have lost days in the Addis Ababa Import Office negotiating hundreds of USD in import taxes for our small shoe box of microcontrollers prototypes for a clinical study with MDR-TB patients. An embargo on flights to Central America forced us to leave mission critical parts of our device behind prior to a field test in Nicaragua. These experiences support our mission to design devices that can be manufactured and assembled in the countries where they are used. Customized blueprints that can be handed to a local workshop for just-in-time fabrication don’t seem to have any issue getting through the customs gates around the world. Charles Johnson has done a tremendous job fundraising for the basic needs of hospitals in DRC to support Dr. Kabibu and his staff. Our team here at Little Devices is excited to connect with people like this and to explore ways in which together, we can bring basic, yet much needed, medical technology to hospitals around the world. Hey Anna, Thanks for the plug! I look forward to speaking to you when you return from India.